Product information "Kimono Silk Pocket Square - Highland - Handrolled"
Shibumi was always strongly inspired by Japanese culture and traditional craftsmanship with the goal to combine Japanese and Italian aesthetics. Always striving for unique and beautiful fabrics, using kimono silk was just a logical step. We sourced these fabrics in Kyoto - the cultural capital of Japan and even the sister city of Florence - in the beautiful alleys of Nishijin silk district. This one is a special kind of silk called ro (絽): characterized by its open weave similar to fresco or hopsack and is used for summer kimonos. Screen printed in Japan, hand rolled in Italy. 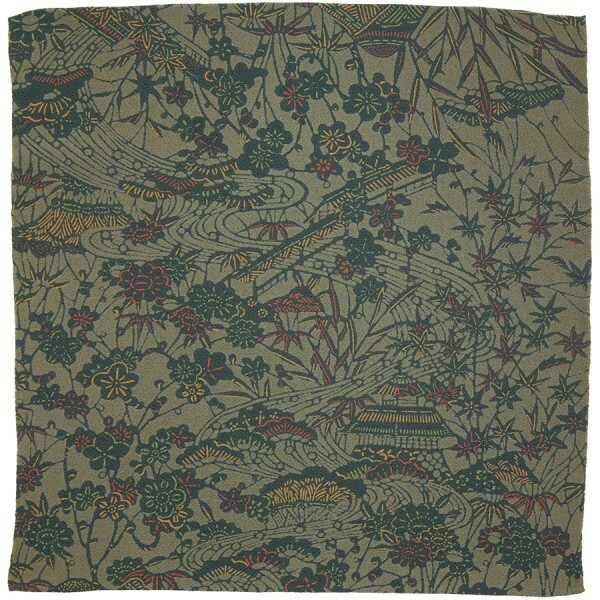 Related links to "Kimono Silk Pocket Square - Highland - Handrolled"